In 1825 a band of Shawnee Indians traveled east to meet with the Great White Father in Washington. Along the way the group camped on grounds owned by Thomas James, a Chillicothe, Ohio banker and merchant. Their decorative face paint interested him very much. The Indians told Thomas of a great valley with tall trees, swift flowing waters and the rich, colored earth used to paint the markings on their faces. Upon their return trip from Washington, the Indians invited Mr. James to journey west to see this valley and its’ offerings. James sent Samuel Massey, his business partner, to inspect the hematite mine and enormous spring. His favorable report led to the construction of the Maramec Iron Works in 1826. In 1843 Thomas James sent his son, William, to manage the Maramec Iron Works. He remained there until operations ceased and the Iron Works closed in 1876. At its peak, the company town had an estimated population of over 500. Accessible ore, water power, and an abundant hardwood forest used for charcoal made the valley an advantageous site. However, the remoteness of markets and insufficient modes of transportation were major challenges for Thomas to overcome in his efforts to successfully operate the Iron Works. In the early days Maramec iron was used for kettles, plows, and other utensils that could be hauled in wagons. Eventually products such as bar and pig iron were floated down the Meramec and Gasconade Rivers to Pittsburgh and Cincinnati. When the railroad arrived, the iron-laden oxen teams traveled to stops at St. James and Gray Summit to use this new form of shipping. By the Middle 1850’s, modernized hot-blast furnaces, coke fuel, and the opening of Sault Ste. Marie Canal were affecting the need for Maramec iron. Fortunately, the tremendous demands brought on by the Civil War helped keep the Maramec Iron Works in business until 1876 when the furnaces finally grew cold. Following the death of William James in 1912, his granddaughter, Lucy Wortham James, acquired ownership of Maramec Spring along with the forest and farmlands surrounding it in 1920. 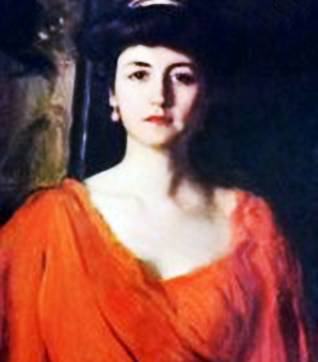 Upon her death in 1938, she made her residuary estate a part of a Trust and authorized creation of the James Foundation.